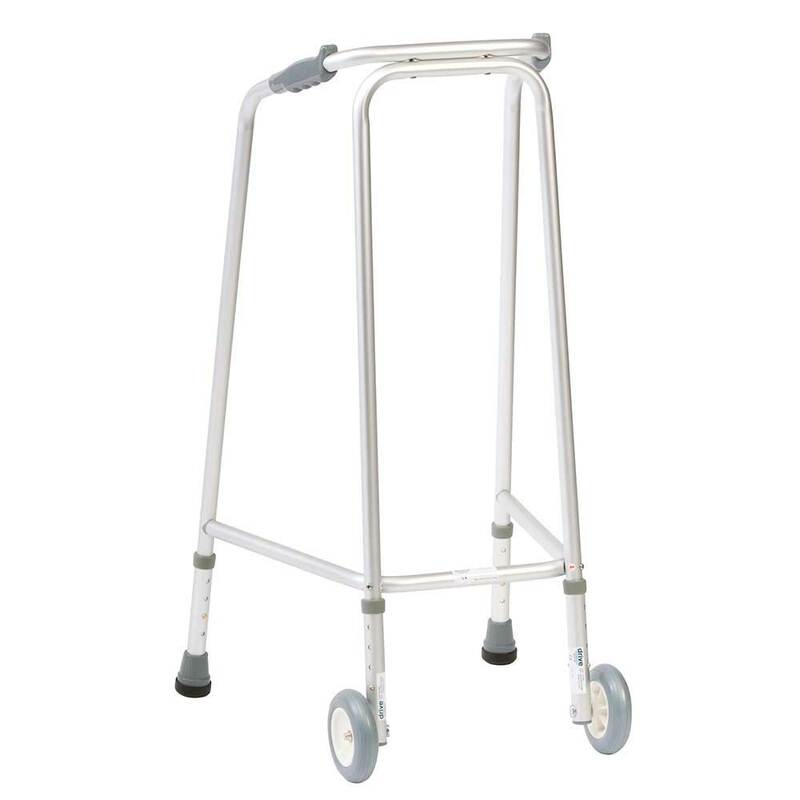 Ultra Narrow Walking Frame With Wheels Height Adjustable. If you have difficulty with mobility, and have limited space (not all of us live in mansions, after all!) then this zimmer frame with wheels might just be what you’re looking for. 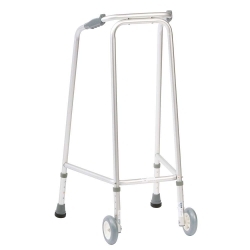 It’s a solidly built, but lightweight narrow walking frame with wheels. Its size means that it will easily and happily get you through the smallest of gaps, for example doorways, etc – without chipping door frame paint or scraping knuckles! 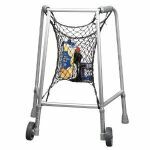 Two front castors provide great manoeuvrability in and around the house, and enable a flowing, even faster walking pattern and your hands will feel at home on the specially profiled handgrips that provide both safety and comfort. Available in three sizes, each being height adjustable. Lovely and compact great to use in my little bungalow.